EDB to EML converter allows performing batch conversion of emails from EDB mailboxes into EML format. It is possible to convert the emails of each mailbox in an EDB file. The software will save each email in EML format with their respective subject line. 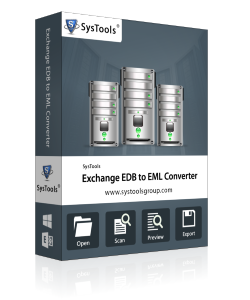 If you need more information please contact the developers of SysTools Exchange EDB to EML Converter (SysTools Software), or check out their product website.